This statistic displays the frequency of reading books in England in 2013, broken down by reader segment. 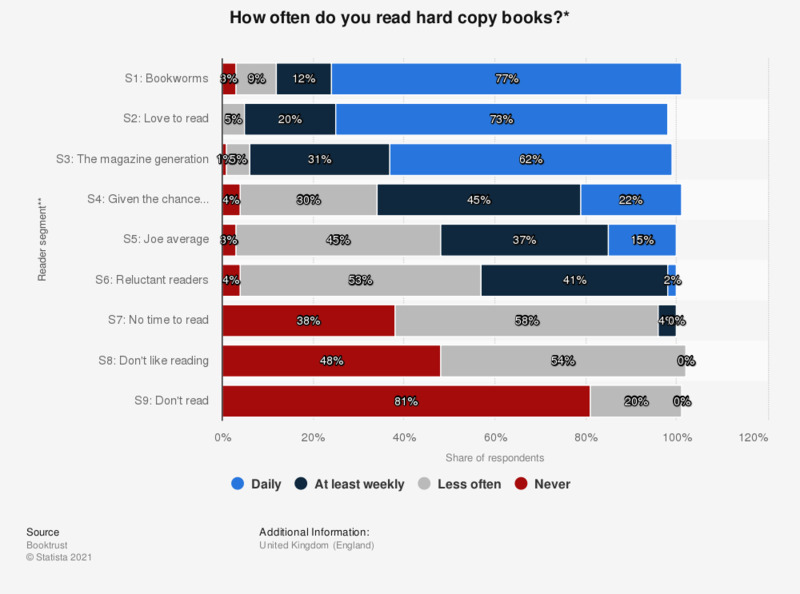 Of respondents categorized within the bookworm segment, 77 percent reported reading hard copy books every day, while 31 percent of 'the magazine generation' reported reading hard copy books at least weekly. ** The source provides definitions of the reader segmentation model used on page seven of the Booktrust Reading Habits Survey report. The source does not provide any information regarding missing percentage points to 100 percent. The source does not provide any information regarding percentage points exceeding 100 percent.